Advantech has released its WISE-4210 series of IoT wireless sensor products, including a wireless LPWAN-to-Ethernet AP and three wireless sensor nodes. The nodes include tthe WISE-4210-S231 internal temperature and humidity sensor (shown), WISE-4210-S251 sensor node with 6-channel digital input and a serial port and WISE-4210-S214 sensor node with 4-channel analog input and 4-channel digital input. The device-to-cloud total solution provided by this series of LPWAN products allows IT, OT, and cloud platform system developers to easily implement a private LPWAN, acquire field site data, and achieve seamless integration with both public cloud, such as Microsoft Azure and private enterprise clouds. 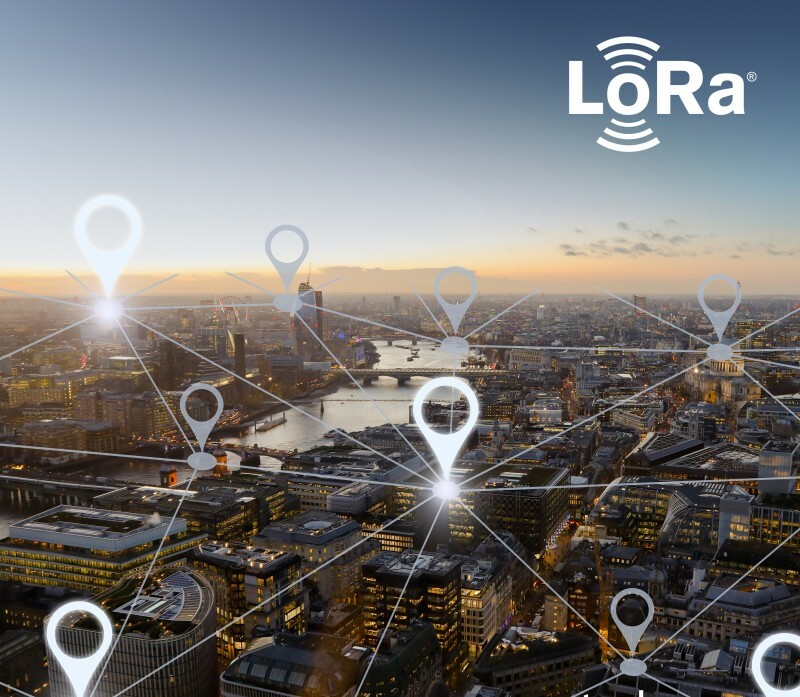 Based on proprietary LPWAN technology, the new WISE-4210 series products minimize frequency band interference, support a wider data transmission range, are compatible with lithium batteries, and enable cloud platform integration. By locking the sub-GHz frequency band, WISE-4210 series products significantly reduce susceptibility to interference for 2.4 GHz wireless communication technologies such as Wi-Fi, Bluetooth and Zigbee. By supporting a network transmission distance of up to 5 km, the WISE-4210 series meets the requirements of large-scale interior environments such as data centers, factories and warehouses for collecting and applying a wide range of interior data. With LPWAN technology, only three 3.6 V lithium batteries are required to operate the WISE-4210 sensor nodes for up to five years, eliminating the need for additional wiring and frequent recharging. Additionally, the WISE-4210 series supports multiple transfer protocols, including MQTT, RESTful, Modbus/TCP and Modbus/RTU, for simple device-to-cloud connections. The WISE-4210-S231 sensor node with built-in temperature and humidity sensor collects relevant data form factories, data centers or warehouse management without requiring the installation of additional sensors or gateways, making it ideal for indoor temperature and humidity control applications. Meanwhile, the WISE-4210-S251 sensor node, which provides 6-channel digital input and a single RS-485 port, and the WISE-4210-S214 sensor node, which provides four-channel analog input and 4-channel digital input, can be used to collect electricity meter, pressure gauge, thermometer, and power consumption data from factory facilities. The three wireless nodes support direct data transmissions to SCADA and cloud platforms through a WISE-4210-AP, eliminating the need for a separate data conversion device. The WISE-4210-AP access point is capable of managing up to 64 nodes simultaneously, and thus can simplify overall infrastructure and save installation space. 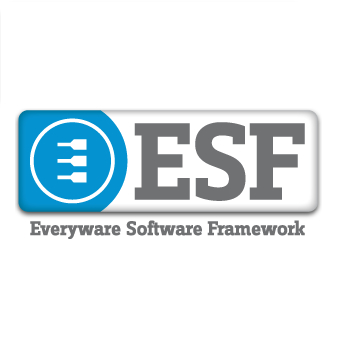 Eurotech has announced the new 6.0 release of its Everyware Software Framework (ESF). 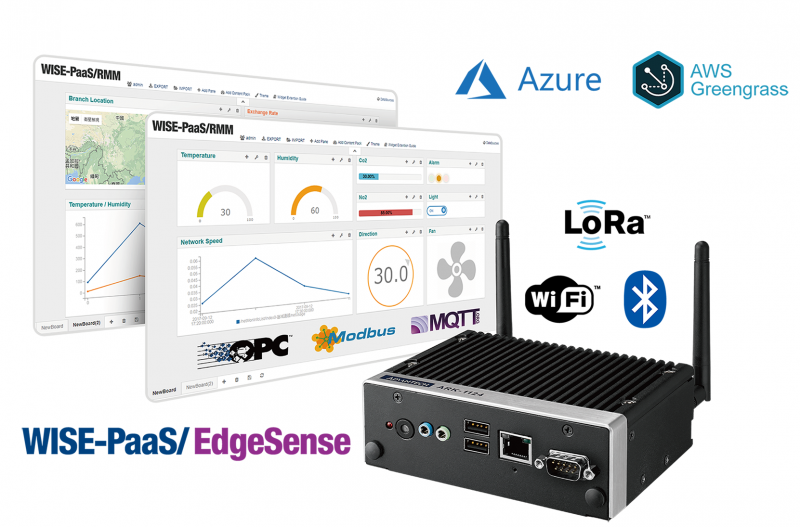 The new version aims to enhance the IoT edge framework’s edge and cloud connectivity capability. ESF provides IoT connectivity to many leading cloud platforms, including Microsoft Azure, Amazon AWS, Cumulocity IoT, Eurotech Everyware Cloud and Eclipse Kapua. With the new 6.0 release the user is now able to specify multiple cloud connections, each to a different Endpoint, ensuring a better portability of applications. This makes connection configuration and switching among cloud providers easier and code-free. The new release also broadens the range of ESF’s natively supported field protocols. Users developing applications in industrial automation, transportation, automotive, energy and other industries will have a wide range of edge connectivity options to communicate with their field assets. ESF 6 integrates Red Hat JBoss A-MQ and Red Hat JBoss Fuse components. The former allows integration with real-time messaging applications and the latter provides a wide range of connectivity options to broaden IoT applications opportunities for the users. ESF is the commercial, enterprise-ready edition of Eclipse Kura, the open source IoT Edge Framework for IoT Gateways to which Eurotech is the original contributor. The recently released 4.0 version of Eclipse Kura simplifies the plugging of new cloud connection implementations and brings up a restructuring of the networking part to make it more pluggable and expandable, in addition to new drivers and supported platforms, as well as improvements to usability and bug fixes. Eurotech has announced that AVR, a potato harvester manufacturer based in Belgium, has chosen the ReliaGATE family of intelligent edge computers running Eurotech’s Everyware Software Framework and Everyware Cloud to manage the edge devices for its smart agriculture project to connect its harvesting machinery. These IoT building blocks are integrated by AVR partner Delaware Consulting with a Microsoft MS Azure-based IoT platform that gathers, analyzes and visualizes data from sensors on tractors and other farming vehicles. With a showcase version up and running, AVR plans to release the platform for end users later in 2018, gathering market feedback to drive the development of new capabilities. 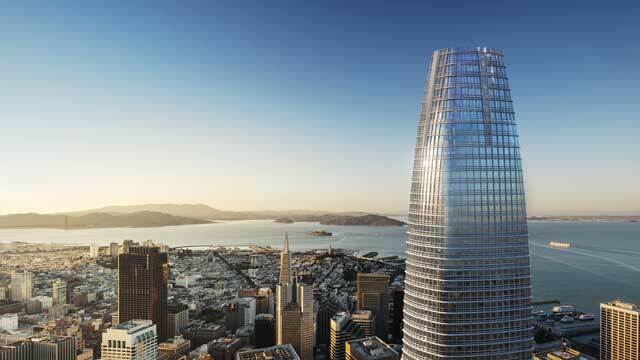 No financial information has been disclosed. AVR has a decades-long history in the field of potato agriculture, designing and manufacturing harvesters, planters and cultivators. It’s a niche market, but they are one of the world’s biggest players, exporting equipment to every continent. However, even a traditional industry like agriculture is being impacted by emerging IoT innovations. According to AVR, Agriculture adopts new tech relatively slowly compared to other sectors. But the key words “smart farming: and :precision agriculture” are cropping up more and more often. In the past, AVR focused much more on the mechanical side of agriculture. Now, its goal is to develop smarter machines with many more sensors and use the data its collects to bring value and transparency to stakeholders along the entire value chain. The July issue of Circuit Cellar magazine is coming soon. And we’ve rustled up a great herd of embedded electronics articles for you to enjoy. One of the critical enabling technologies making the Internet-of-Things possible is the set of well-established wireless standards that allow movement of data to and from low-power edge devices. 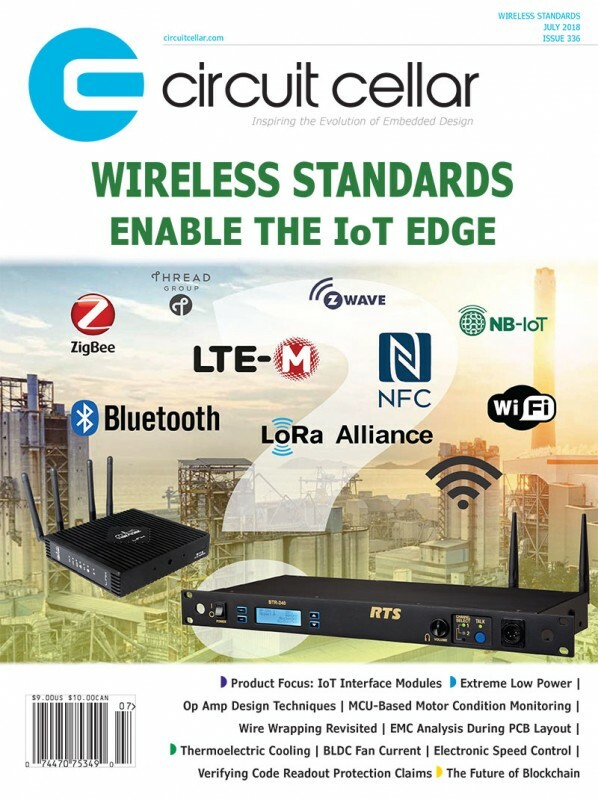 Here, Circuit Cellar’s Editor-in-Chief, Jeff Child, looks at key wireless standards and solutions playing a role in IoT. The rapidly growing IoT phenomenon is driving demand for highly integrated modules designed to interface with IoT devices. This Product Focus section updates readers on this technology trend and provides a product album of representative IoT interface modules. If your electronic product design fails EMC compliance testing for its target market, that product can’t be sold. That’s why EMC analysis is such an important step. In his article, Mentor Graphics’ Craig Armenti shows how implementing EMC analysis during the design phase provides an opportunity to avoid failing EMC compliance testing after fabrication. Wearable consumer devices, IoT sensors and handheld systems are just a few of the applications that strive for extreme low-power consumption. Beyond just battery-driven designs, today’s system developers want no-battery solutions and even energy harvesting. Circuit Cellar’s Editor-in-Chief, Jeff Child, dives into the latest technology trends and product developments in extreme low power. Op amps can play useful roles in circuit designs linking the real analog world to microcontrollers. Stuart Ball shares techniques for using op amps and related devices like comparators to optimize your designs and improve precision. Wire wrapping may seem old fashioned, but this tried and true technology can solve some tricky problems that arise when you try to interconnect different kinds of modules like Arduino, Raspberry Pi and so on. Wolfgang Matthes steps through how to best employ wire wrapping for this purpose and provides application examples. Today’s small fans and blowers depend on brushless DC (BLDC) motor technology for their operation. In this article, Ed Nisley explains how these seemingly simple devices are actually quite complex when you measure them in action. He makes some measurements on the motor inside a tangential blower and explores how the data relates to the basic physics of moving air. An Electronic Speed Controller (ESC) is an important device in motor control designs, especially in the world of radio-controlled (RC) model vehicles. In Part 1, Jeff Bachiochi lays the groundwork by discussing the evolution of brushed motors to brushless motors. He then explores in detail the role ESC devices play in RC vehicle motors. Thanks to advances in microcontrollers and sensors, it’s now possible to electronically monitor aspects of a motor’s condition, like current consumption, pressure and vibration. In this article, Texas Instrument’s Amit Ashara steps through how to best use the resources on an MCU to preform condition monitoring on motors. He looks at the signal chain, connectivity issues and A-D conversion. How do you verify the security of microcontrollers? MCU manufacturers often make big claims, but sometimes it is in your best interest to verify them yourself. In this article, Colin O’Flynn discusses a few threats against code readout and looks at verifying some of those claimed levels. When his thermoelectric water color died prematurely, George Novacek was curious whether it was a defective unit or a design problem. With that in mind, he decided to create a test chamber using some electronics combined with components salvaged from the water cooler. His tests provide some interesting insights into thermoelectric cooling. 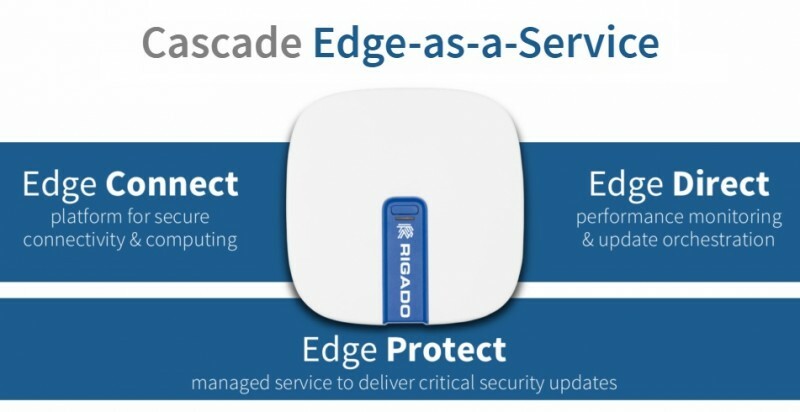 Rigado has announced Cascade, its new integrated Edge-as-a-Service solution. Designed for commercial IoT applications like Asset Tracking, Smart Workplaces and Connected Retail, Cascade helps companies save six months of time—or more—in bringing their solutions to market, without the need for upfront hardware investments. Offered as an integrated monthly subscription starting at $9/month, Cascade gives you the wireless infrastructure, edge computing platform and managed security updates that allow IoT product and project teams to focus on driving maximum value from their IoT apps—and not on the underlying edge infrastructure, security and maintenance. Cascade-500 IoT Gateway: Rigado’s newest IoT gateway offers a range of connectivity options including Bluetooth 5, Zigbee, Thread, Wi-Fi & LTE; security features like file system encryption; and 800 MHz of edge computing power. Edge Protect Service: A managed, automated security service, Edge Protect provides automatic OS and security updates when common vulnerabilities, exposures and exploits are discovered. The service also provides signature authentication to ensure that what your developers publish is exactly what runs. Edge Direct Tools: Secure edge device orchestration and systems performance monitoring allow your operations teams to set alerts and diagnose issues; provision gateways with secure IDs and encrypted keys; and flexibly schedule, manage and apply application updates. Edge Direct integrates with existing DevOps processes and CI tools and uses a familiar app store deployment model. With Edge Direct, technicians are able to stay out of the field, remotely deploying—and rolling back if necessary—updates for reliable maintenance. 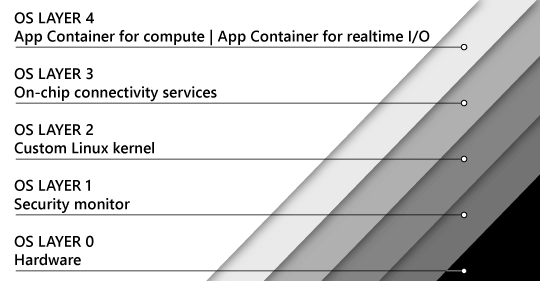 Edge Connect Platform: Gives developers a secure connectivity and computing platform with a fully containerized edge OS. Featuring Ubuntu Core by Canonical with secure boot and an encrypted file system, Edge Connect also leverages Snaps, a simple application packaging system that makes it easier for developers to build and maintain application containers at the edge. With Edge Connect, your developers can work in the programming language of their choice and can easily and securely add multiple apps and functionalities onto a single gateway. Last, EdgeConnect also offers easier connections to IoT sensors and beacons using API calls that do not require device or protocol expertise. Cascade benefits engineers by shaving months off of their IoT design and build efforts by helping them quickly develop and deploy edge applications. EdgeConnect APIs, with their ‘web-style’ access to devices, greatly simplifies architecture and saves thousands of lines of code and weeks of development and testing time. Operational teams who are tasked with ongoing edge maintenance can use their same DevOps workflows, dashboards, and tools, such as CI, to monitor their IoT solutions. Edge performance monitoring helps Operations keep a close eye on device health and connectivity to manage successful scaling. Cascade gives your IoT Support the solutions they need to effectively diagnose and fix client-specific issues. Able to easily integrate into existing support applications, IoT support needs little to no additional team or tools to effectively track device performance, diagnostics and update configurations. Business teams benefit from the ability to easily scale IoT solutions across the commercial enterprise – all with a solution that mirrors their own SaaS Commercial IoT model. With increased security, a faster time to market and the ability to extend easily to the entire commercial enterprise, Cascade gives your business teams the ability to introduce innovation at the speed of the market. You can get started with Rigado’s Cascade Evaluation Kit. Advantech has announced its new generation of wireless connectivity: the Edge Intelligence Server EIS-D210 series. As smart cities and industry 4.0 deployment installs millions of IoT sensors and devices, wireless communications has become the fastest growing sector and wireless networks have been part of every application. As a result, the task of remotely managing distributed devices becomes more complex. 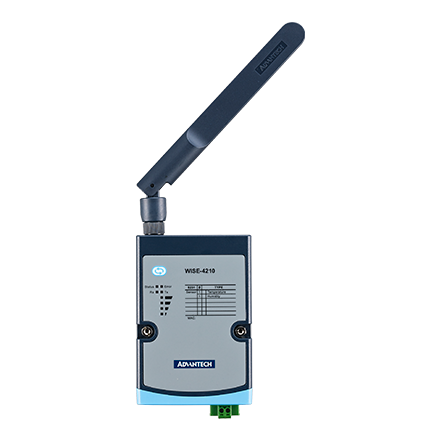 To echo market requirements, Advantech EIS-D210 series is powered by an Intel Celeron processor N3350 and has LoRa/Wi-Fi/Bluetooth and WISE-PaaS/EdgeSense edge intelligence and sensing software built-in. It is also pre-integrated with Microsoft Azure IoT Edge and AWS Greengrass to extend cloud intelligence to edge devices and enable real-time decisions at the edge. Advantech EIS-D210 is an integrated solution from the edge to the cloud and simplifies IoT application deployment. It’s well suited for applications in smart factory, smart energy and intelligent agriculture applications that need wireless sensor network management. EIS-D210W has a built-in certificated Wi-Fi (IEEE802.11a/b/g/n/ac 2.4GHz/5GHz standard) and Bluetooth 4.1 module, and EIS-D210L incorporates a built-in private LoRa long-range modem. All EIS-D210 series have built-in dual GbE, COM (RS-232/422/485), VGA/HDMI, four USB 3.0 and mPCIe ports. The mPCIe ports can be extended to support 3G/4G LTE. EIS-D210 series provide several connection capabilities and peripheral support for multiple wireless/wired communications. EIS-D210 series comes with Advantech’s WISE-PaaS/EdgeSense edge intelligence and sensing integration software, which provides an IoT SDK and documents for wireless sensor (LoRa, Wi-Fi, Bluetooth) data integration and supporting field protocols (MQTT/OPC/Modbus) for sensor/device data acquisition. With these, customers can quickly incorporate data integration, data pre-processing, and edge analytics to their applications. EIS-D210 series is also pre-integrated with Azure IoT Edge and AWS Greengrass, ensuring that IoT devices can respond quickly to local events, interact with local resources, operate with intermittent connections, and minimize the cost of transmitting IoT data to the cloud. Furthermore, after data modeling and machine learning with data, results can be pushed back to edge (IoT Edge/ Greengrass) to provide data prediction for IoT applications. EIS-D210W (Wi-Fi/Bluetooth) became available at end of April and EIS-D210L (LoRa) will become available in June. The June issue of Circuit Cellar magazine is coming soon. And we’ve planted a lovely crop of embedded electronics articles for you to enjoy. PCB design tools and methods continue to evolve as they race to keep pace with faster, highly integrated electronics. Automated, rules-based chip placement is getting more sophisticated and leveraging AI in interesting ways. And supply chains are linking tighter with PCB design processes. 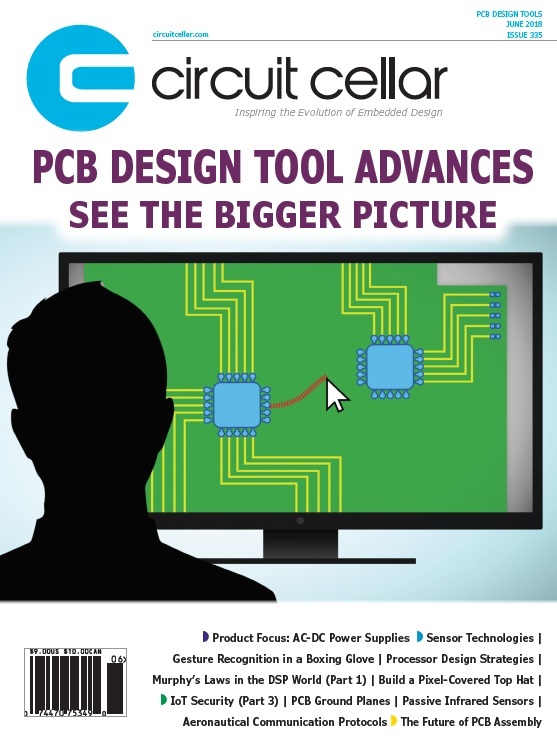 Circuit Cellar Chief Editor Jeff Child looks at the latest PCB design and verification tools and technologies. Tricky design decisions crop up when you’re faced with crafting a printed circuit board (PCB) for any complex system—and many of them involve the ground plane. There is dealing with noisy components and deciding between a common ground plane or separate ones—and that’s just the tip of the iceberg. Robert Lacoste shares his insights on the topic, examining the physics, simulation tools and design examples of ground plane implementations. To their peril, embedded system developers often treat their choice of power supply as an afterthought. But choosing the right AC-DC converter is critical to the ensuring your system delivers power efficiently to all parts of your system. This Product Focus section updates readers on these trends and provides a product album of representative AC-DC converter products. While sensors have always played a key role in embedded systems, the exploding Internet of Things (IoT) phenomenon has pushed sensor technology to the forefront. Any IoT implementation depends on an array of sensors that relay input back to the cloud. Circuit Cellar Chief Editor Jeff Child dives into the latest technology trends and product developments in sensors and measurement. One way to make sure that lights get turned off when you leave a room is to use Passive Infrared (PIR) sensors. Jeff Bachiochi examines the science and technology behind PIR sensors. He then details how to craft effective program code and control electronics to use PIR sensors is a useful way. Learn how two Boston University graduate students built a gesture-detection wearable that acts as a building block for a larger fitness telemetry system. Using a Linux-based Gumstix Verdex, the wearable couples an inertial measurement unit with a pressure sensor embedded in a boxing glove to recognize the user’s hits and classify them according to predefined, user-recorded gestures. In this next part of his article series on IoT security, Bob Japenga looks at the security features of a specific series of microprocessors: Microchip’s SAMA5D2. He examines these security features and discusses what protection they provide. A Pandora’s box of unexpected issues gets opened the moment you move from the real world of analog signals and enter the world of digital signal processing (DSP). In Part 1 of this new article series, Mike Smith defines six “Murphy’s Laws of DSP” and provides you with methods and techniques to navigate around them. As electronics get smaller and more complex day by day, knowing the basic building blocks of processors is more important than ever. In this article, Nishant Mittal explores processor design from various perspectives—including architecture types, pipelining and ALU varieties. 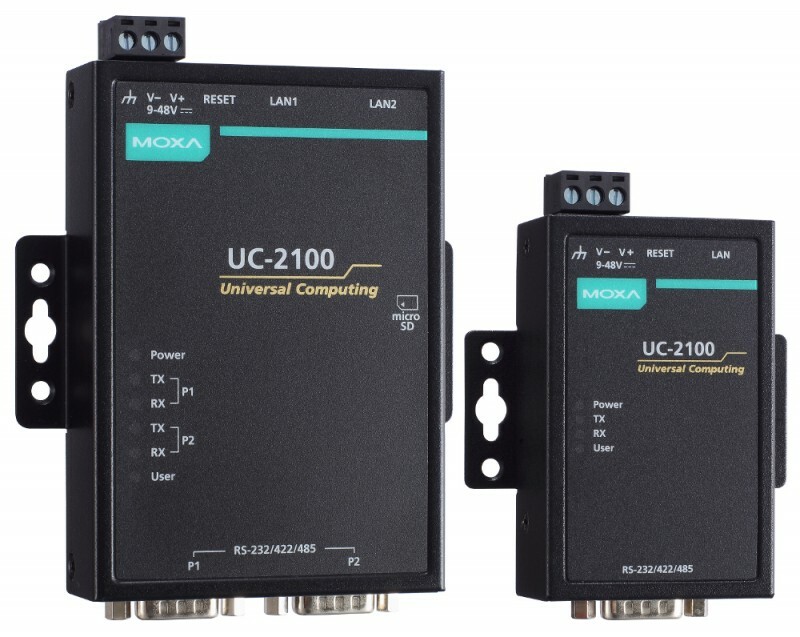 Moxa has announced the UC-2100 Series of industrial IoT gateways along with its new UC 3100 and UC 5100 Series, but it offered details only on the UC-2100. All three series will offer ruggedization features, compact footprints, and on some models, 4G LTE support. They all run Moxa Industrial Linux and optional ThingsPro Gateway data acquisition software on Arm-based SoCs. Based on Debian 9 and a Linux 4.4 kernel, the new Moxa Industrial Linux (MIL) is a “high-performance, industrial-grade Linux distribution” that features a container-based virtual-machine-like middleware abstraction layer between the OS and applications,” says Moxa. Multiple isolated systems can run on a single control host “so that system integrators and engineers can easily change the behavior of an application without worrying about software compatibility,” says the company. MIL provides 10-year long-term Linux support, and is aimed principally at industries that require long-term software, such as power, water, oil & gas, transportation and building automation industries. In December, Moxa joined the Linux Foundation’s Civil Infrastructure Platform (CIP) project, which is developing a 10-year SLTS Linux kernel for infrastructure industries. MIL appears to be in alignment with CIP standards. 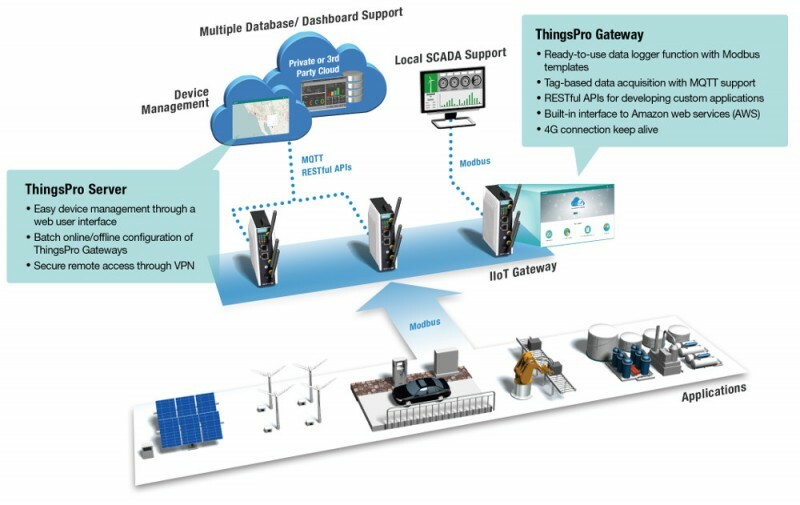 Moxa’s ThingsPro Gateway software enables “fast integration of edge data into cloud services for large-scale IIoT deployments,” says Moxa. 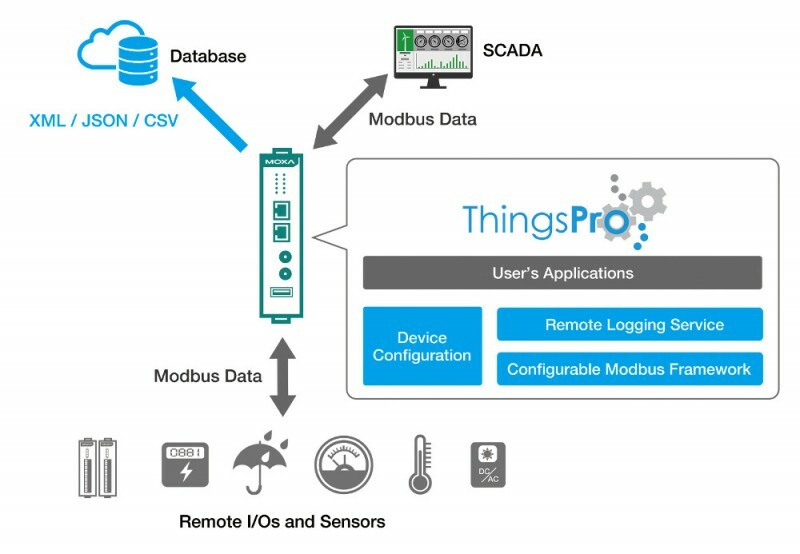 The software supports Modbus data acquisition, LTE connectivity, MQTT communication, and cloud client interfaces such as Amazon Web Services (AWS) and Microsoft Azure. C and Python APIs are also available. Although we saw no product pages on the UC-3100 and UC-5100, Hanser Konstruktion posted a short news item on the UC-3100 with a photo (above) and a few details. This larger, rugged system supports WiFi and LTE with two antenna pairs, and offers a USB port in addition to dual LAN and dual serial ports. 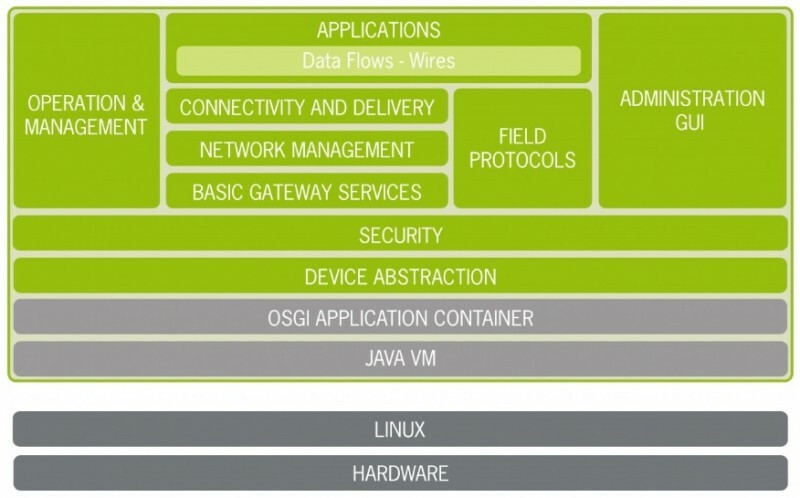 The new systems follow several other UC-branded IoT gateways that run Linux on Arm. The only other one to support ThingsPro is the UC-8112, a member of the UC-8100 family. This UC-8100 is similarly ruggedized, and runs Linux on a Cortex-A8 SoC. The UC-2100 Series gateways runs MIL on an unnamed Cortex-A8 SoC clocked at 600MHz except for the UC-2112, which jumps to 1GHz. 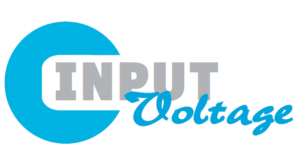 There are five different models, all with 9-48 VDC 3-pin terminal blocks and a maximum consumption of 4 Watts when not running cellular modules. All five UC-2100 variants default to a -10 to 60°C operating range except for the UC-2104, which moves up to -10 to 70°C. In addition, they are all available in optional -40 to 75°C versions. Other ruggedization features are the same, including anti-vibration protection per IEC 60068-2-64 and anti-shock per IEC 60068-2-2. A variety of safety, EMC, EMI, EMS, and hazardous environment standards are also listed. The first three models ship with 256MB DDR3, while the UC-2111 and UC-2112 offer 512MB. These two are also the only ones to offer micro-SD slots. All five systems ship with 8GB eMMC loaded with the MIL distribution. The UC-2100 systems vary in the number and type of their auto-sensing, 1.5 kV isolated Ethernet ports. The UC-2101 and UC-2104 each have a single 10/100Mbps port, while the UC-2102 and UC-2111 have two. The UC-2112 has one 10/100 and one 10/100/1000 port. The UC-2104 is the only model with a mini-PCIe socket for 4G or WiFi. 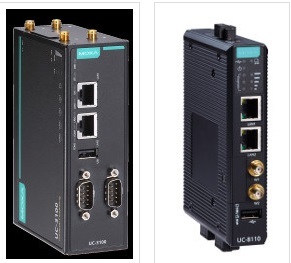 The UC-2111 and UC-2112 offer 2x RS-232/422/48 ports while the UC-2101 has one. It would appear that the UC-2102 and UC-2104 lack serial ports altogether except for the RS-232 console port available on all five systems. The UC-2100 provides push buttons and dip switches, an RTC, a watchdog, and LEDs, the number of which depend on the model. A wall kit is standard, and DIN-rail mounting is optional. TPM 2.0 is also optional. A 5-year hardware warranty is standard. The UC-2100 Series gateways appear to be available for order, with pricing undisclosed. More information may be found on Moxa’s UC-2100 product page. More information about the UC-2100, as well as the related, upcoming UC-3100 and UC-5100 Series, will be on tap at Hannover Messe 2018, April 23-27, at the Arm Booth at Hall 6, Booth A46. This article originally appeared on LinuxGizmos.com on April 16. 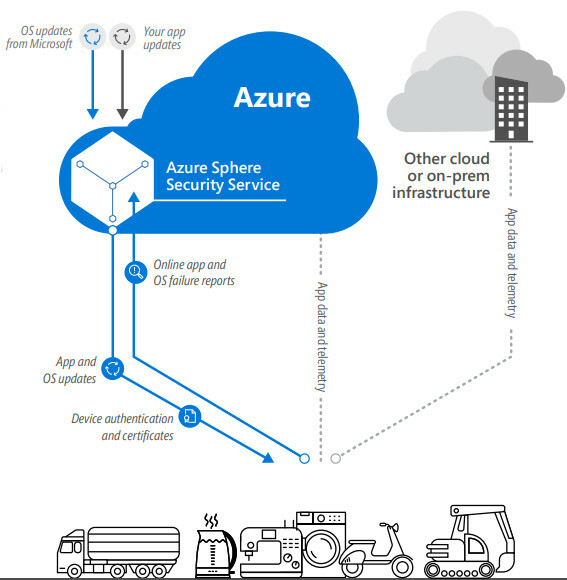 Microsoft has announced an “Azure Sphere” blueprint for for hybrid Cortex-A/Cortex-M SoCs that run a Linux-based Azure Sphere OS and include end-to-end Microsoft security technologies and a cloud service. Products based on a MediaTek MT3620 Azure Sphere chip are due by year’s end. Just when Google has begun to experiment with leaving Linux behind with its Fuchsia OS —new Fuchsia details emerged late last week— long-time Linux foe Microsoft unveiled an IoT platform that embraces Linux. At RSA 2018, Microsoft Research announced a project called Azure Sphere that it bills as a new class of Azure Sphere microcontrollers that run “a custom Linux kernel” combined with Microsoft security technologies. Initial products are due by the end of the year aimed at industries including whitegoods, agriculture, energy and infrastructure. Based on the flagship, Azure Sphere based MediaTek MT3620 SoC, which will ship in volume later this year, this is not a new class of MCUs, but rather a fairly standard Cortex-A7 based SoC with a pair of Cortex-M4 MCUs backed up by end to end security. It’s unclear if future Azure Sphere compliant SoCs will feature different combinations of Cortex-A and Cortex-M, but this is clearly an on Arm IP based design. 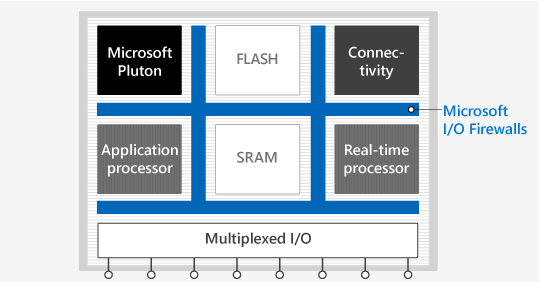 Arm “worked closely with us to incorporate their Cortex-A application processors into Azure Sphere MCUs,” says Microsoft. The IoT oriented Azure Sphere OS provides additional Microsoft security and a security monitor in addition to the Linux kernel. The platform will ship with Visual Studio development tools, and a dev kit will ship in mid-2018. The third component is an Azure Sphere Security Service, a turnkey, cloud-based platform. The service brokers trust for device-to-device and device-to-cloud communication through certificate-based authentication. The service also detects “emerging security threats across the entire Azure Sphere ecosystem through online failure reporting, and renewing security through software updates,” says Microsoft. In many ways, Azure Sphere is similar to Samsung’s Artik line of IoT modules, which incorporate super-secure SoCs that are supported by end-to-end security controlled by the Artik Cloud. One difference is that the Artik modules are either Cortex-A applications processors or Cortex-M or -R MCUs, which are designed to be deployed in heterogeneous product designs, rather than a hybrid SoC like the MediaTek MT3620.Hybrid, Linux-driven Cortex-A/Cortex-M SoCs have become common in recent years, led by NXP’s Cortex-A7 based i.MX7 and -A53-based i.MX8, as well as many others including the -A7 based Renesas RZ/N1D and Marvell IAP220. The MediaTek MT3620 “was designed in close cooperation with Microsoft for its Azure Sphere Secure IoT Platform,” says MediaTek in its announcement. Its 500MHz Cortex-A7 core is accompanied by large L1 and L2 caches and integrated SRAM. Dual Cortex-M4F chips support peripherals including 5x UART/I2C/SPI, 2x I2S, 8x ADC, up to 12 PWM counters, and up to 72x GPIO. In addition, the MT3620 features an isolated security subsystem with its own Arm Cortex-M4F core that handles secure boot and secure system operation. A separate Andes N9 32-bit RISC core supports 1×1 dual-band 802.11a/b/g/n WiFi. Microsoft learns to love LinuxIn recent years, we’ve seen Microsoft has increasingly softened its long-time anti-Linux stance by adding Linux support to its Azure service and targeting Windows 10 IoT at the Raspberry Pi, among other experiments. Microsoft is an active contributor to Linux, and has even open-sourced some technologies. It wasn’t always so. For years, Microsoft CEO Steve Ballmer took turns deriding Linux and open source while warning about the threat they posed to the tech industry. In 2007, Microsoft fought back against the growth of embedded Linux at the expense of Windows CE and Windows Mobile by suing companies that used embedded Linux, claiming that some of the open source components were based on proprietary Microsoft technologies. By 2009, a Microsoft exec openly acknowledged the threat of embedded Linux and open source software. That same year, Microsoft was accused of using its marketing muscle to convince PC partners to stop providing Linux as an optional install on netbooks. In 2011, Windows 8 came out with a new UEFI system intended to stop users from replacing Windows with Linux on major PC platforms. Azure Sphere is available as a developer preview to selected partners. The MediaTek MT3620 will be the first Azure Sphere MCU, and products based on it should arrive by the end of the year. More information may be found in Microsoft’s Azure Sphere announcement and product page. 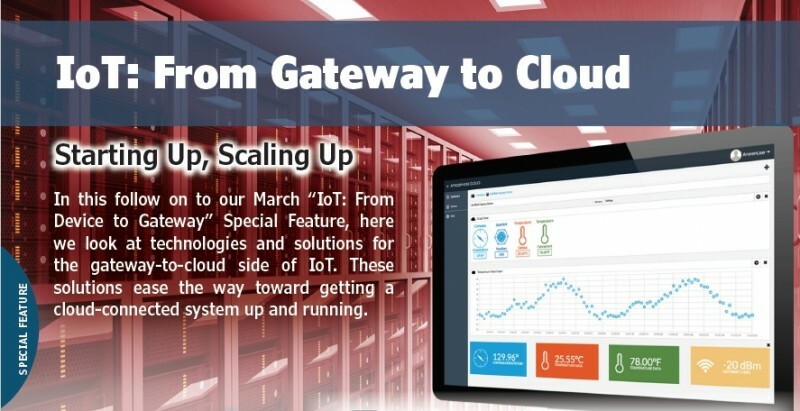 In this follow on to our March “IoT: From Device to Gateway” Special Feature, here we look at technologies and solutions for the gateway-to-cloud side of IoT. These solutions ease the way toward getting a cloud-connected system up and running. After exploring the edge device side of the Internet-of-Things (IoT) last month, now we’ll look at cloud side the equation. Even though the idea of Internet-linked embedded devices has been around for decades, multiple converging technology trends have brought us to the IoT phenomenon of today. The proliferation of low cost wireless technology has coincided with significant decrease in the costs of computing, data storage and sensor components. Meanwhile, that same computing and storage are now widely available as cloud-based platforms that can scale linearly. Much attention has been focused on the size of the growing IoT market in terms of revenue and number of devices. But another interesting metric is the number of IoT developers working on IoT-based systems. According to analysts, that number will approach 10 million within the next few years and a lot of that growth will be among smaller firms starting from the ground up or adding IoT to their infrastructure for the first time. For those smaller organizations the process of getting started with cloud-connected infrastructure can be a hurdle. And even after that step, there’s the issue of scaling up as the need arises to expand their IoT implementation. Feeding both those needs, a number of companies ranging from IoT specialists to embedded software vendors to microcontroller vendors have over the past six months, rolled out a variety of solutions to help developers get started with their cloud-connected IoT system and scale that system to larger numbers of IoT edge nodes and increased cloud-based service functionality. With both those trends in mind, Atmosphere IoT positions itself as focused on the mass market of IoT developers. Formerly part of Anaren, Atmosphere IoT Corp. was previously Anaren’s IoT Group before Anaren divested that division in January into the newly formed Atmosphere IoT Corp. For its Atmosphere IDE product, the company provides an interesting business model. Atmosphere IDE is available for free—anyone can log on and use it. Once you get over 5 connected things and want to have Atmosphere IoT store more data and manage more things, you start paying incrementally. The idea is to make it easy for developers to generate code and get prototype systems and a limited pilot program up and running. When users are ready to scale up or when they find commercial success, they can scale linearly because all of Atmosphere’s software is built on the Amazon Web Services (AWS) cloud. 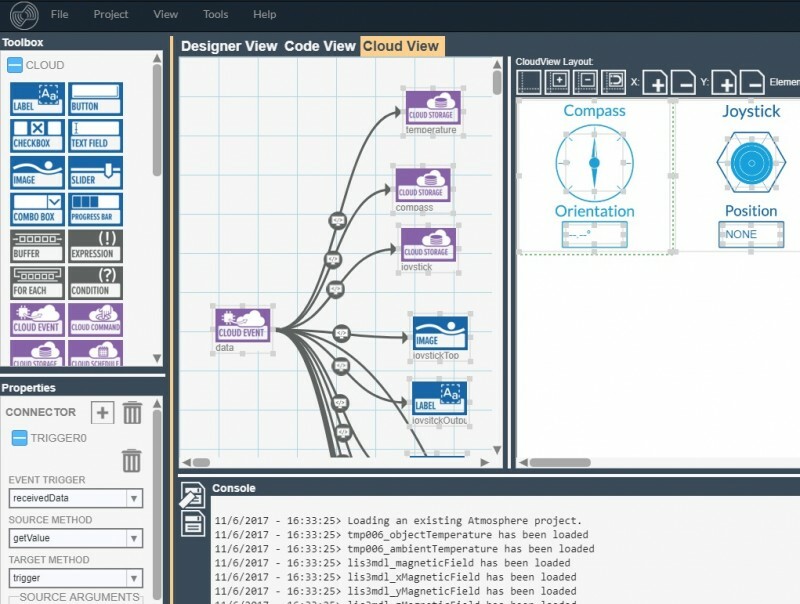 The Cloud View part of Atmosphere IDE lets developers use cloud elements to quickly connect their projects to Atmosphere Cloud, sending data from an embedded system to the cloud for a cohesive sensor-to-cloud solution. Using the IDE, developers can create either Wi-Fi or Bluetooth Smart projects and choose between supported platforms including Anaren hardware and the Intel Curie module. On the cloud development side, the Atmosphere IDE provides easy cloud connectivity access, connecting IoT devices to the cloud application to take advantage of data hosting, analysis, reporting, real-time monitoring and much more. The Cloud View (Photo 1) part of the IDE lets developers use cloud elements to quickly connect their projects to Atmosphere Cloud, sending data from an embedded system to the cloud for a cohesive sensor-to-cloud solution.